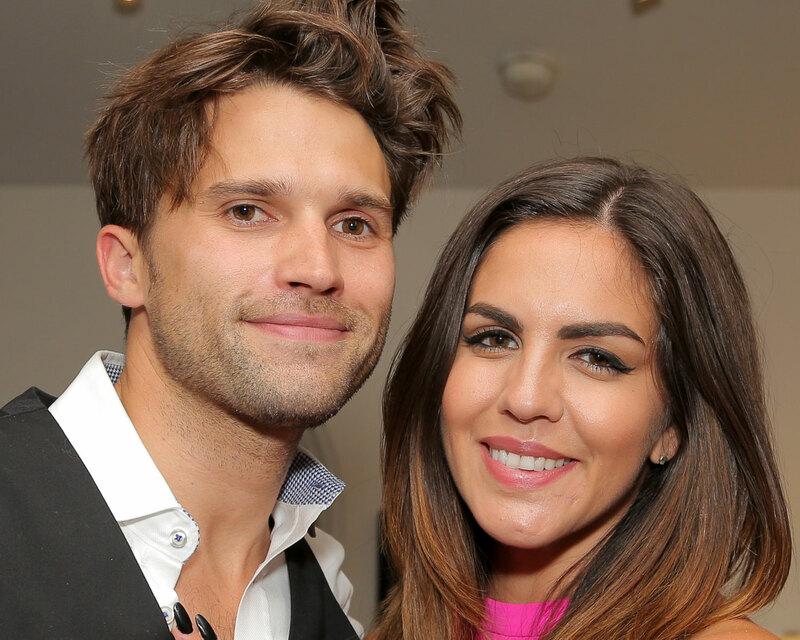 Katie Maloney and Tom Schwartz‘s marriage is off to a sparkling start. The Vanderpump Rules stars, who married in Northern California last Wednesday, August 17, continued to share snippets from their forest wedding this weekend, including a close-up shot of their new wedding bands on Sunday, August 21. Both Maloney and Schwartz opted for eternity-style wedding bands with classic diamonds, but the bride’s version features a pop of color with a single pink diamond accent. The newlyweds are still reveling in the excitement from their enchanted wedding, which was officiated by their boss Lisa Vanderpump. Maloney shared two new photos from her wedding this past weekend, including one particularly stunning snap of herself with Schwartz. Schwartz’s wedding day ensemble may not have outshone his blushing bride’s gown, but he did look dapper in his custom tux. As a post-wedding joke, Schwartz purchased a hat from eBay, and shared a photo of it on Instagram. This past April, the couple opened up to The Knot about planning their upcoming wedding. Be the first to comment on "Katie Maloney Is “Still on Cloud 9” After Marrying Tom Schwartz: See Their Rose Gold Wedding Rings"